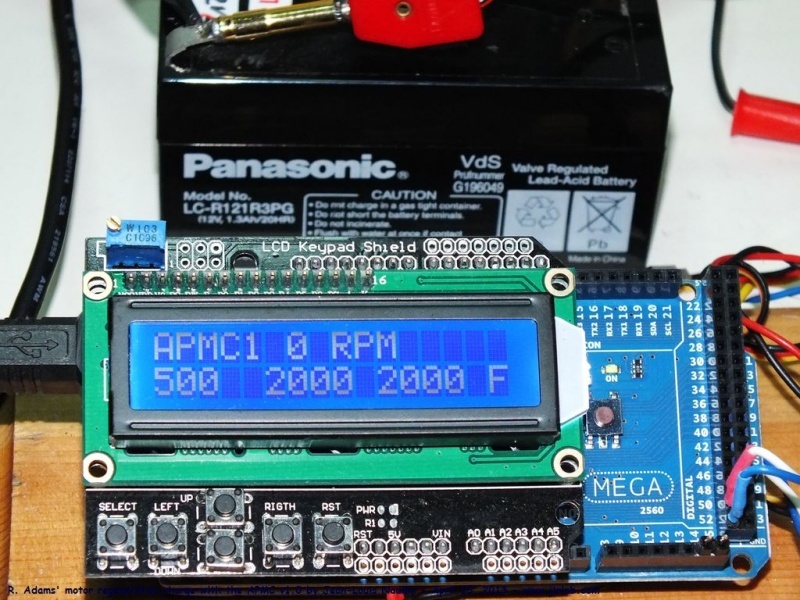 April 15, 2013 - DLE-TEST23 : Here is a simple regenerative charging test of a 12V lead battery with the Robert Adams' motor (very similar to the John Bedini's unipolar motor/generator) piloted by the APMC v1.0 (Arduino Pulsed Motor Controller) already presented in the DLE-TEST22. This kind of regenerative charging uses the Back EMF pulses from the motor coil. This test allows to show you the use of the APMC in real conditions during a simple exploration experiment. A PC computer is connected via the USB port of the Arduino Mega 2560 board. This DLE-TEST23 shows you how the APMC firmware sends the full telemetry datas (time base, RPM, pulses delay and pulses duration, user datas and computed datas...) to the computer. The battery used is a 12 V 1.3 Ah lead battery. The Back EMF pulses are collected and rectified via a double fast switching HFA25PB60 diode. 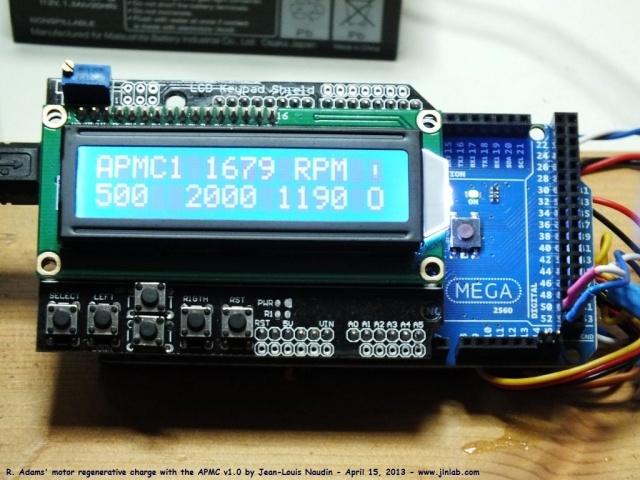 but recomputed by the APMC to 1198 µS so as to optimize the power and the torque. 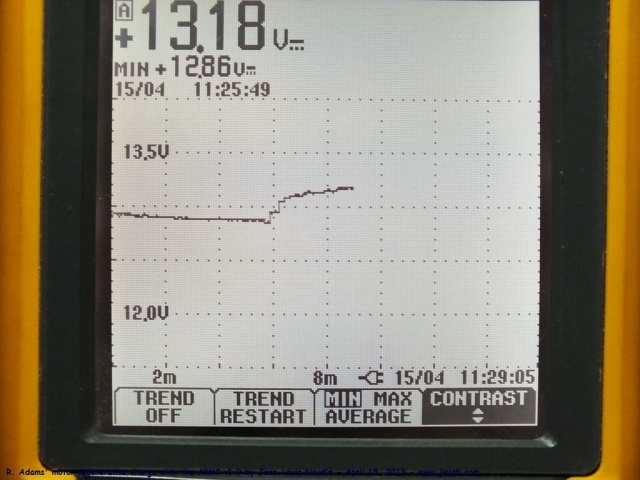 The initial battery voltage was 12.86 V and it has climbed to 13.18 V after 3 minutes of running. 1172 : Computed duration (in µS) of the pulse sent by the APMC.